Well, I finally got off my lazy bum and added a blog. Please excuse the mess, or lack of mess, as I’ve only just begun. And my website, www.tarawest.com is still active, so please visit there for a peek at my graphic designs and my Whispers series. In the meantime, I’ve just launched my series, or re-launched it, as I’ve gotten the rights back from my publisher and plan on expanding the collection and following the girls through high school and maybe even college. 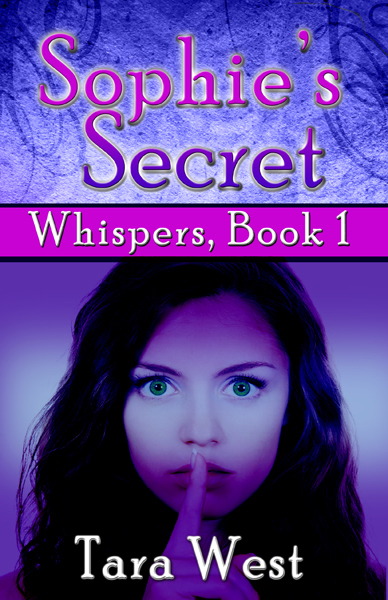 Sophie’s Secret’s has been updated and rereleased on Kindle, Nook and FREE on Smashwords. Sophie Sinora and her BFFs struggle to keep their strengthening paranormal powers secret while trying to fit in at school. Her teacher’s suicidal thoughts, a threatening locker bully, a teasing school flirt, her hormonal pregnant sister, and the tension between Sophie and her friends, only add to her problems. Hopefully, she can fix them in time to save her teacher’s life and her social life. 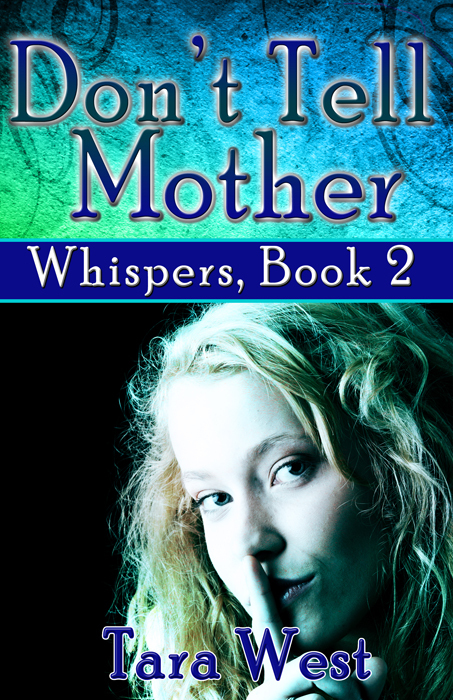 Don’t Tell Mother is also on Kindle, Nook and Smashwords. AJ’s mounting frustrations at home and school could turn her into a ticking time bomb. She knows the first step to solving her problems is to gain acceptance from her mother. Then AJ’s green-haired boyfriend knocks on the door. AJ’s ability to foretell the future is driving her and her mom further apart, and if she doesn’t tell her mom about her horrible vision soon, her brother will die. 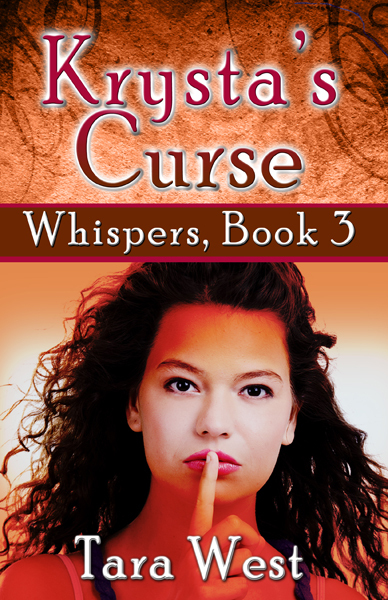 Krysta’s Curse is also available on Kindle, Nook and Smashwords. Krysta Richard’s ability to talk to spirits is getting in the way of her social life. Just as the chemistry between her and her lab partner, Bryon, is about to ignite, a homicide detective asks her to summon a murder victim, her drunk father suddenly takes an interest in her life and her dead friends enlist her in a crusade to save their decrepit cemetery. Categories: Uncategorized | Tags: don't tell mother, ghost whisperer, ghosts, krysta's curse, paranormal, sophie's secret, tara west, telepath, ya paranormal, young adult romance | Permalink.